"The QuikClot® Advanced Clotting Sponge puts blood-clotting power in the palm of your hand. This easy-to-use device is made from zeolite beads in a sterile, non-adherent mesh bag. 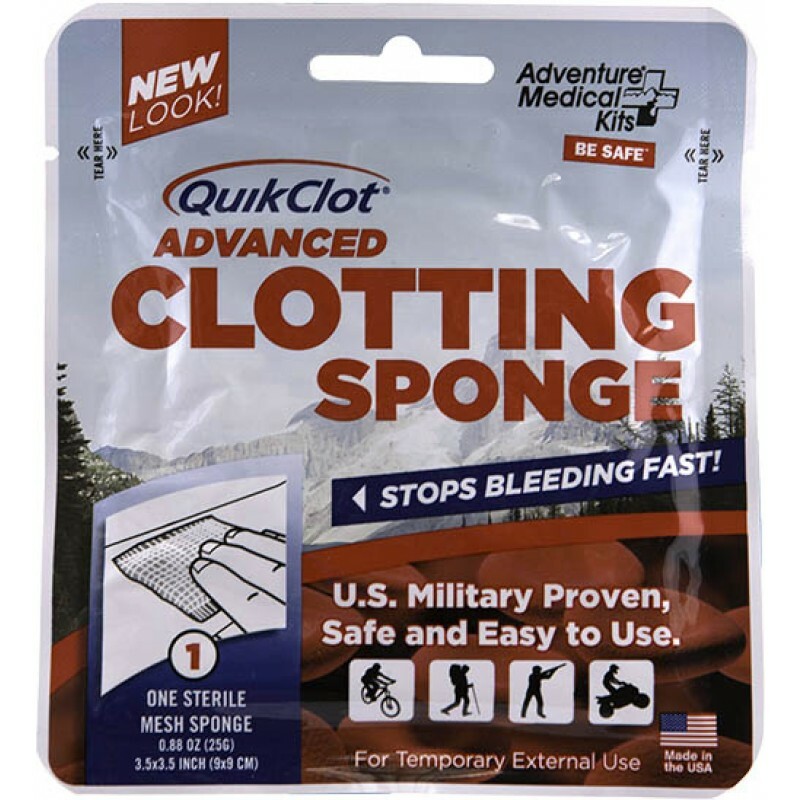 You simply apply QuikClot® Advanced Clotting Sponge over the bleeding area to speed clotting and treat injuries while waiting for advanced medical help. Each package contains one 3.5" x 3.5" (25g) QuikClot® sponge.